We are beyond excited to finally announce this year’s ShopUp event! Following the success of last year’s event, we’ll be hosting another 2-day shopping fair in London this December where we will bring together more than 25 different boutiques all under one roof just in time for the holiday shopping period. We’re already soooo excited! We’re also thrilled to announce a brand new dedicated ShopUp site. 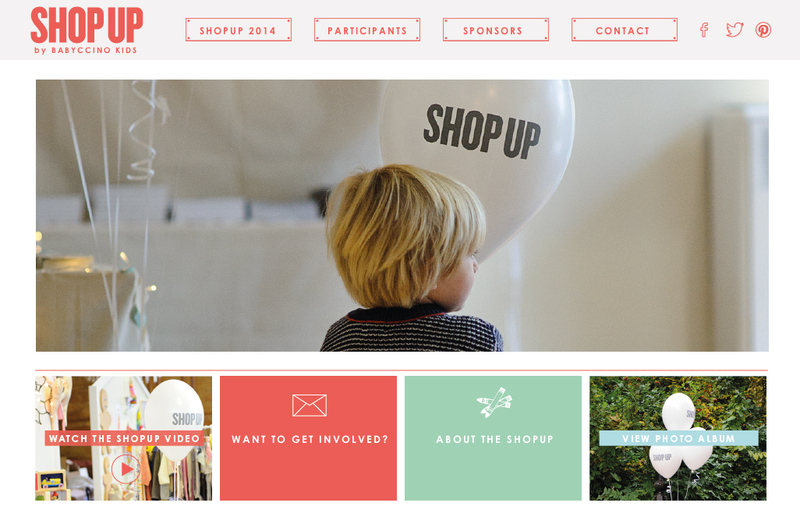 Introducing… www.theshopup.com! Here you will find all the important info, activities and, most importantly, the list of all participating shops. You can also watch the video and see all the photos from last year’s event. In the meantime, mark your calendars for December 3rd and 4th, and get your holiday shopping lists ready!! We hope to see you there! Oh! I think I may have to make a little pilgrimage over to the UK! Looks like such a fab event with so many great vendors- was green with envy that I wasn’t there last year! Wonder if I could convince the husband that this is one stop Christmas shopping ;).